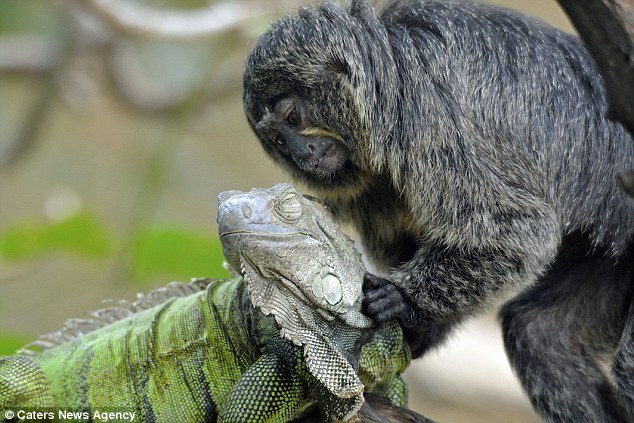 Well known for their inquisitive behaviour, one marmoset monkey has made an unlikely new friend in the form of a green iguana. 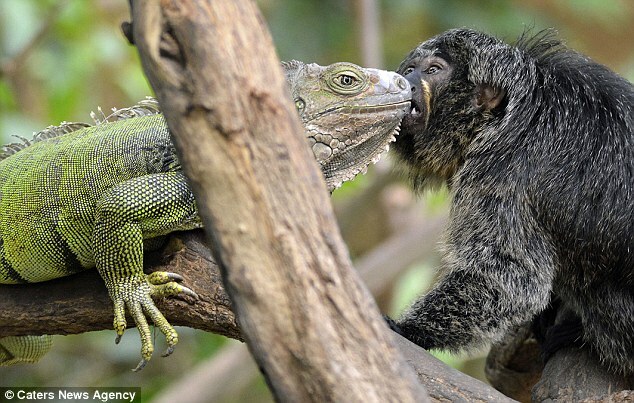 The female white-fronted marmoset can be seen giving the green iguana, who is almost bigger than her, loving pecks on the nose and even a little cheeky nibble. 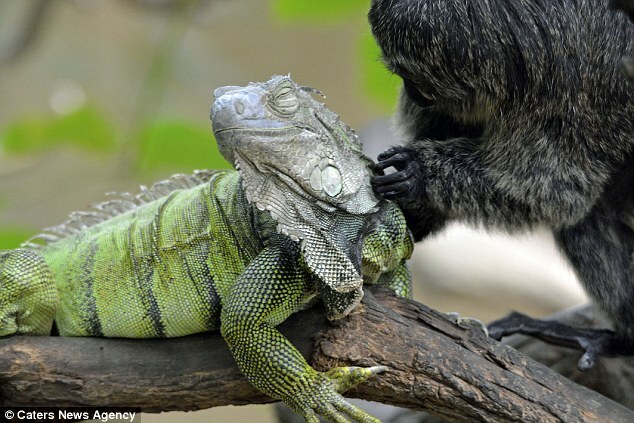 Despite its sharp claws and scaly skin, the iguana appears completely unfazed by the monkey's wandering paws.At one point, the curious monkey started to give her friend a little massage, just like she would with another primate. 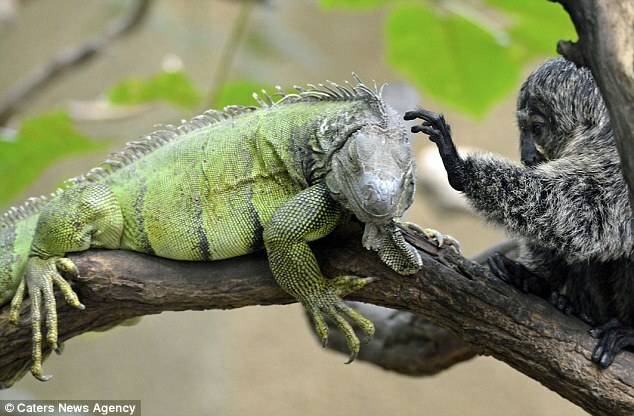 Rubbing the iguanas forehead and neck with her slender fingers, the monkey's efforts certainly appeared to be enjoyed by the happy iguana. 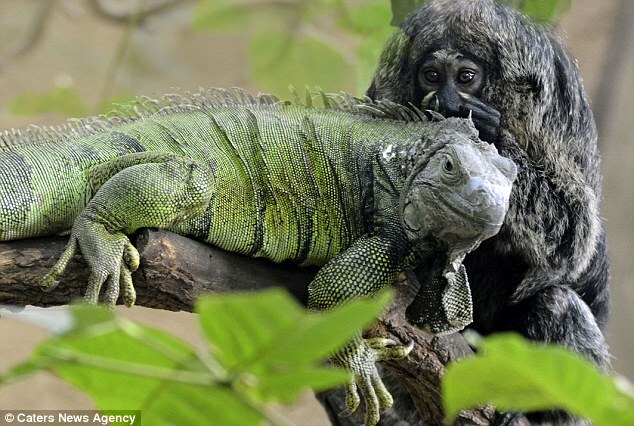 'They seemed to really trust each other. 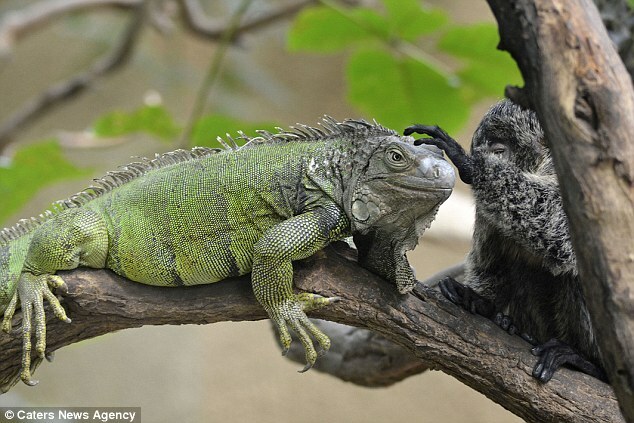 The marmoset was very intrigued, touching the iguana. 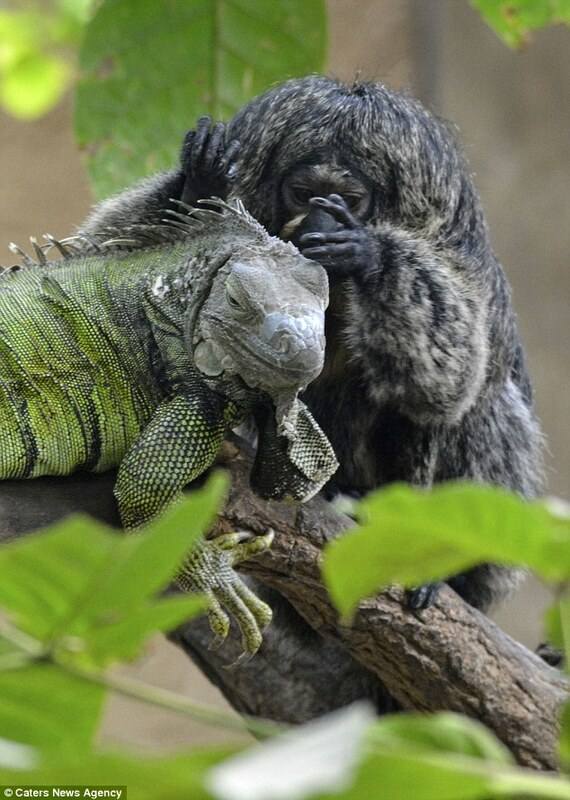 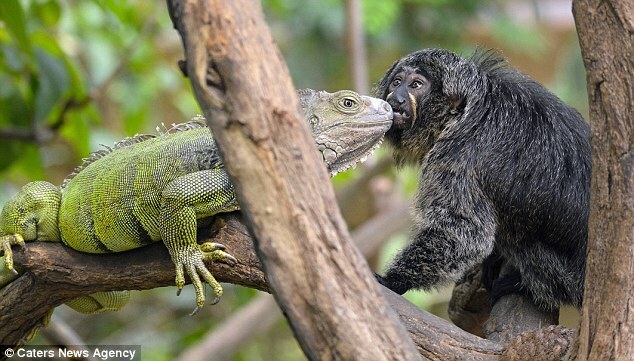 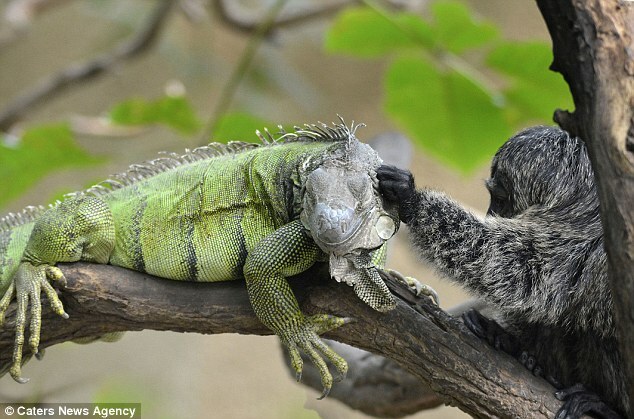 Responses to "Adorable photos show the unlikely friendship between marmoset monkey and iguana"
Not a marmoset. 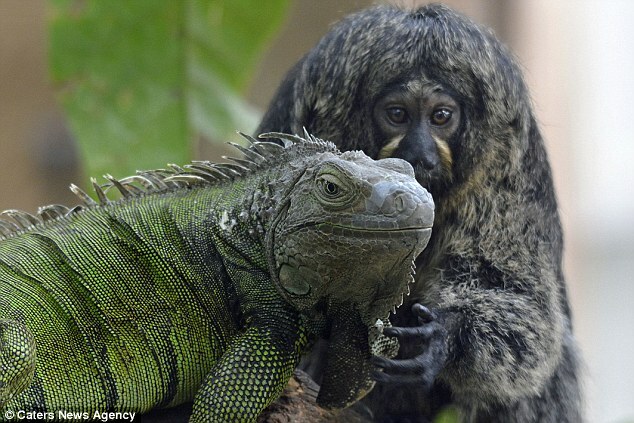 It's a saki.